In 2019, we’re hosting and promoting three Live! Days where we will be broadcasting a programmes of webinars in the Virtual Auditorium, bringing you fresh insights and connecting you with experts. As part of our broader programme on Emotional Wellbeing, our Live! Days are focusing on the themes of Happiness, Resilience and Mental Health. Subscribers to this Virtual Platform have unlimited access to these Live! Days. Promoting happiness in the workplace is a new concept – not just in Asia, but globally and few companies have dedicated resources to drive this agenda. 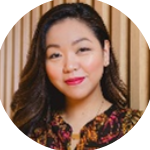 In this webinar, Community Business’ CEO, Fern Ngai will have a conversation with Hong Kong’s first Chief Happiness Officer - Marina Vogt of Fung Group. Together they will discuss the background and remit of this role, why it is important to priorise happiness in the workplace and key initiatives the company is introducing in Hong Kong and globally. Marina will also share observations on how perspectives on happiness are influenced by culture. Attend this unique session and discover why it may be time for your company to devote resources to happiness! Coming from a diverse background spanning academia, creative arts, non-profit and corporate, Marina is currently Fung Group’s Engagement lead and Chief Happiness Officer (CHO). With a firm belief that everyone can create their own life narrative, and every day provides a choice that leads towards that creation, she has been focused on the concept of self-invention and how it can impact every individual in a positive way. Marina completed her education at Li Po Chun United World College and the University of Hong Kong. She is also an alumna of The Women’s Foundation Mentoring Programme (HK), and is a certified Applied Positive Psychology life and happiness coach. She has spoken on a variety of topics including Why Happiness?, Happiness at Work, Creating Organisational Cultures, Bringing Your Full Self to Work. Most recently, Marina was the In-Residence Happiness Coach at Explorium HK offering Happiness Hours - interactive workshops that take participants through a journey of self-reflection and kindness. Our brains are hardwired to perform at their best when they are positive. What’s more, stressed and negative brains CAN be trained to see more possibility. Studies have confirmed that change IS possible. We CAN permanently raise our happiness baseline and adopt a more positive mindset. This competitive edge is available to all who put in the effort. Referencing Shawn Achor’s work (Author of New York Times best-selling books ‘The Happiness Advantage’ and ‘Before Happiness), Khyati Kapai, a seasoned trainer and coach committed to ‘facilitating positive change by improving thinking’, will share 7 principles that fuel higher fulfilment and performance at work. The Founder of Yzer Solutions Pte Ltd, a soft skills training consultancy, Khyati is a seasoned trainer and coach with 17 years' experience. As a trained Results Coach, Khyati is committed to ‘facilitating positive change by improving thinking’ and focuses on interpersonal communication through positive personal transformation. Khyati is the only licensed trainer of Shawn Achor’s Happiness Advantage-Orange FrogTM workshop in Hong Kong. 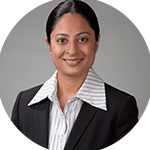 Khyati is also a Six Seconds EQ Practitioner and a certified Thiagi facilitator and has authored three publications. Before moving into the Learning & Development industry she worked in Equity Capital Markets at Citigroup and as an Auditor at Deloitte & Touche. She is also a Certified Public Accountant with ACCA (UK). Our happiness and work are related. Work can provide opportunities for many of the things that help to make us happy such as: connecting with others; learning and growing our skills; using our strengths; achieving our goals and finding meaning. Happy employees also help to make organisations more successful. Whether we are an employee or a line manager, there are things we can all do to help make our workplaces happier. In this webinar, Vanessa King, board member at Action for Happiness and author of Ten Keys to Happier Living will share her in-depth knowledge of the science of wellbeing with her client experience to share ways to increase happiness at work. She’ll also talk about the Action for Happiness movement and its mission to help people take action for a happier and more caring world. Vanessa is a board member at Action for Happiness and author of the book, Ten Keys to Happier Living. She plays an active role, speaking nationally and internationally and translating the latest psychological research into practical action to help individuals, organisations and communities enhance their wellbeing and resilience. 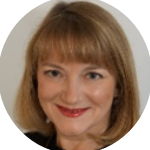 Vanessa combines in-depth knowledge of the science of well-being with her client experience to help people get the most from work and for organisations to get the best from its people. She delivers a range of workshops focused on well-being, resilience and workplace creativity as well as working alongside organisations to design bespoke solutions. Vanessa is the architect of the 10 Keys to Happier Living framework and developed the Doing Well from the Inside Out programme for organisations, leading its successful pilot and roll-out with a global FTSE 100 organisation. Building a positive work culture is not easy but business leaders who do are rewarded with multiple benefits. In this webinar, original thinker, statistician and TED speaker Nic Marks will turn the traditional assumption that success leads to happiness on its head - and present evidence to show that the reverse is true: happiness leads to success, in terms of both profitability and productivity. 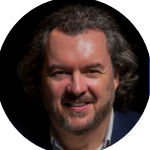 Examining the concepts from both a personal and organisational perspective, Nic will present the compelling business case and provide insights into how leaders can improve employee happiness. Importantly he will examine how you can in fact measure happiness along with the key drivers of happiness. Attend this session to discover why focusing on building and measuring happiness in the workplace is critical to building a prosperous business and an amazing place to work. 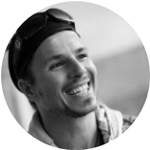 Described as “statistician with a soul” due to his unusual combination of ‘hard’ statistical skills and ‘soft’ people skills, Nic has been working in the field of happiness, wellbeing and quality of life for over 20 years with a particular emphasis on measurement and how to create positive change. He was named as one of the Top Ten Original Thinkers by the UK’s Institute of Directors magazine and his work was also hailed as one of Forbes Magazine’s Seven Most Powerful Ideas in 2011. Nic is the founder and CEO of Friday which measures and improves employee happiness in order to help businesses build a positive productive work culture. Friday’s intelligent design is based on his insights from working with over 1,000 clients creating measures of their employees’ experience of work.